I had an epiphany the other day. I had several non-crisp apples that nobody wanted to eat, and so I decided that applesauce was the only way they wouldn’t go to waste. While planning out my applesauce making, inspiration struck. I had DaVinci Sugar Free Caramel syrup right there on the shelf, and what goes better with apples than caramel? Thus no-sugar-added caramel applesauce was born, and then left this world immediately afterwards because it turned out to be so good that was eaten as soon as it cooled. An awesome side effect of this easy recipe is that it will make your house smell absolutely amazing. 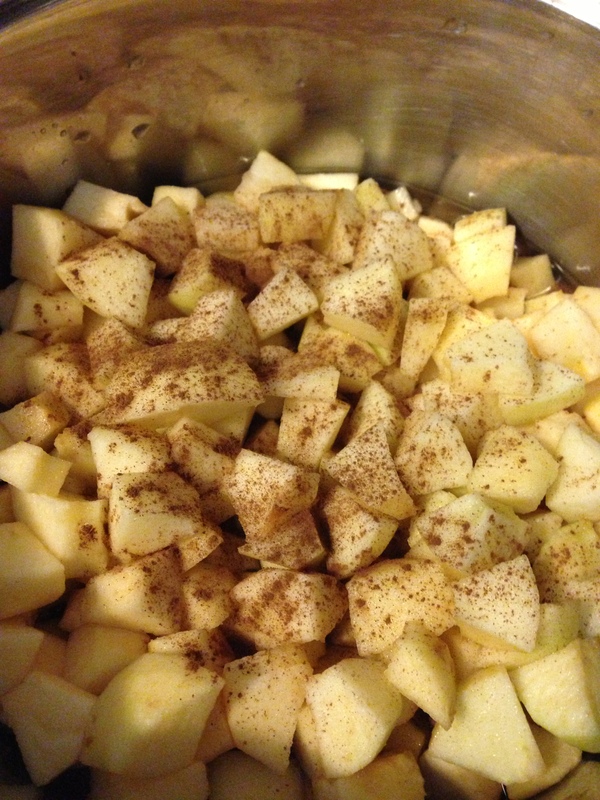 Put the apples, syrup, water, vanilla, and cinnamon in a pot. Put a lid on it, and cook over medium heat for 15-20 minutes until the apples are soft. Using a stick blender, blend everything together until it’s as smooth as you want it. If you don’t have a stick blender, you can mash it with a potato masher (it will be chunky) or cool it and then blend in it a regular blender or food processor. Taste the applesauce for sweetness, and if it’s not quite as sweet as you’d like, add one packet of Splenda at a time. If you taste the applesauce while it’s still hot, it will taste sweeter than it will when it’s cooled. This recipe is very suitable for canning if you want to make a giant batch.